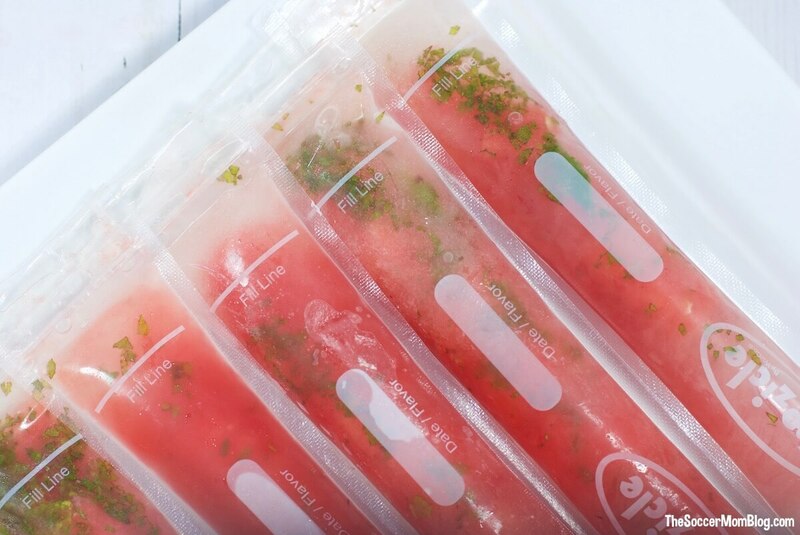 If you could freeze summer into a popsicle, these Watermelon Mojito Pops would be IT. 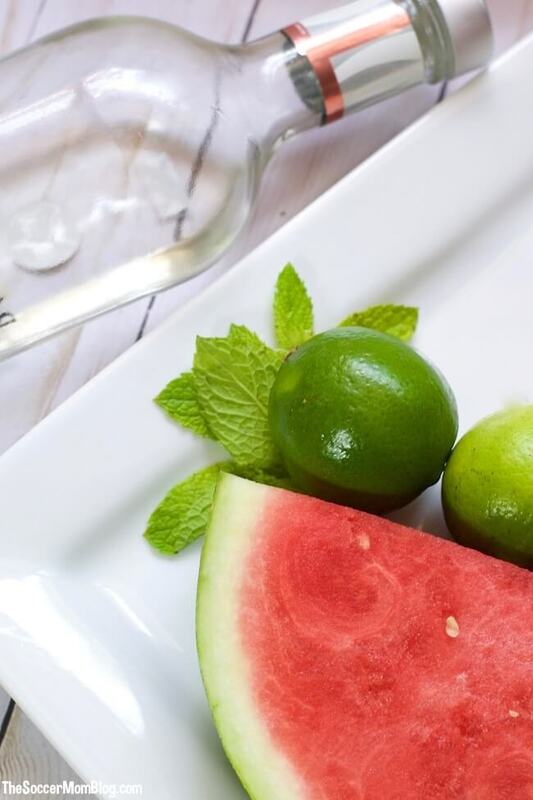 Watermelon mojitos are undeniably refreshing pairing of sweet watermelon and mint, swirled with the quintessential summer liquor: rum. 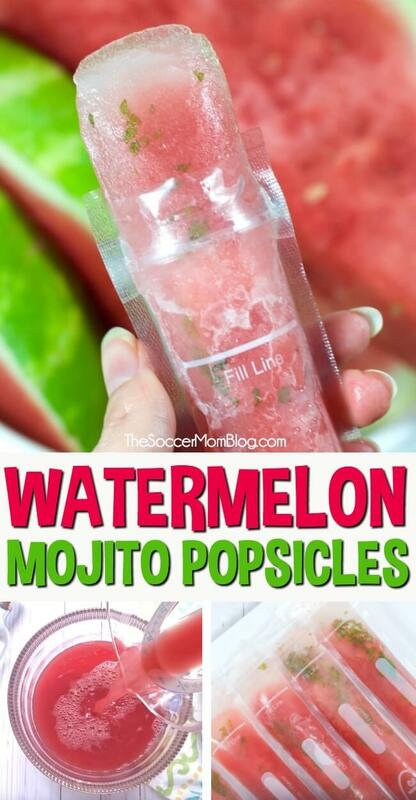 Now just imagine how much more cool refreshment they’d provide in popsicle form! Perfect to enjoy poolside or on the back porch as another hot evening winds down. Or make a batch for the next party you’re invited to instead of bringing the “usual” bottle of wine along. 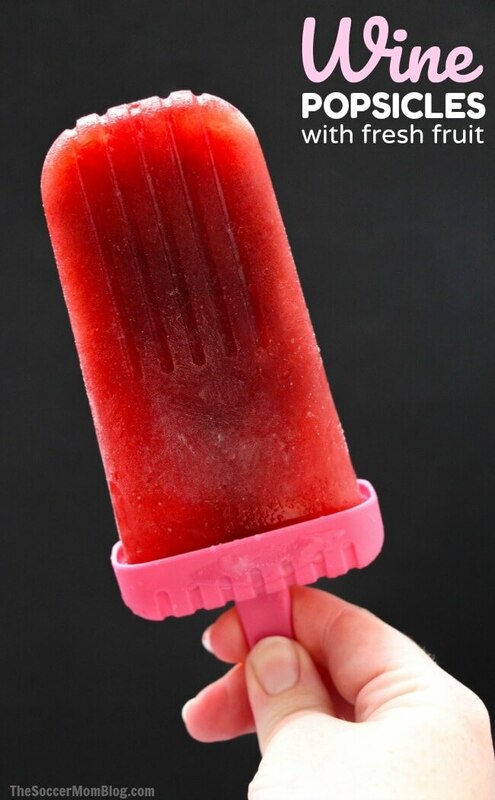 Trust me, these “grown-up popsicles” will be a hit! For your convenience, I’ve included shop-able ad links to some of the supplies used to make this recipe; disclosure policy here. A free printable copy of this recipe with full ingredient amounts and instructions is available at the bottom of this post. Keep reading for video tutorial and prep tips, or click here to jump to printable recipe. Watch the 1-minute video demo below, then keep reading for step-by-step instructions and printable recipe! Remove rind from the half of the watermelon you will be using. Cut about 1/4 of the watermelon off and then cut into chunks. Set aside. Juice the remaining 3/4 of the watermelon using a juicer. 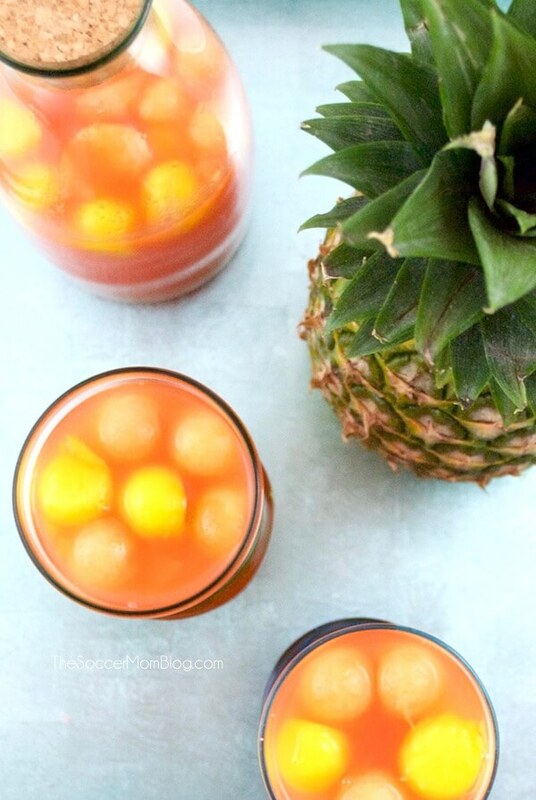 TIP: You can also use a blender to make your watermelon juice. Just be sure to strain the pulp. Pull the smallest leaves from your mint sprigs and set aside. Chop the larger leaves as small as possible. 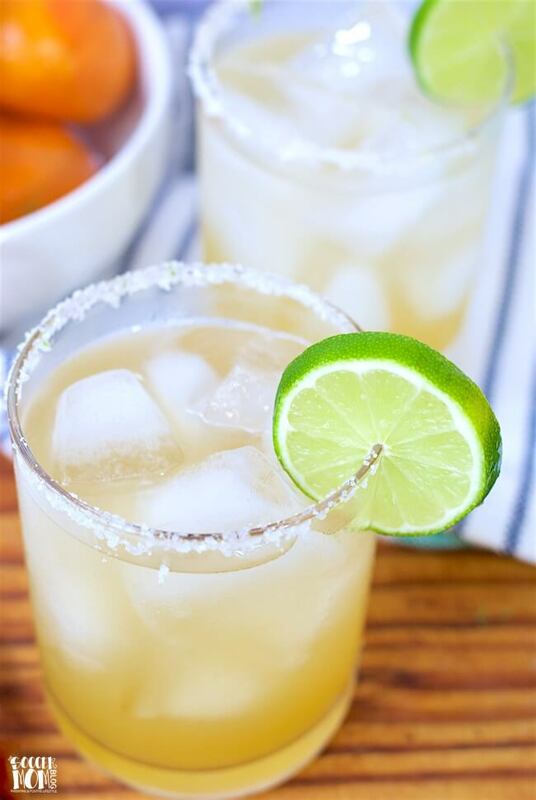 Combine 1/3 cup sugar and 3 oz light rum in a large mixing bowl and whisk together until sugar is about half dissolved. Add watermelon juice, chopped mint, and lime juice. Whisk until well combined and sugar is fully dissolved. 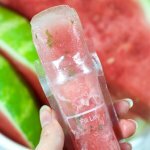 Add 3-4 small pieces of watermelon (that you cut up and set aside earlier) to each freezer pop bag, along with 1-2 small mint leaves. Pour your watermelon mojito mix into the bag up to the fill line and seal. Repeat for the rest of your freezer pops. Lay flat and freeze for 2-3 hours, or until solid. Cheers! 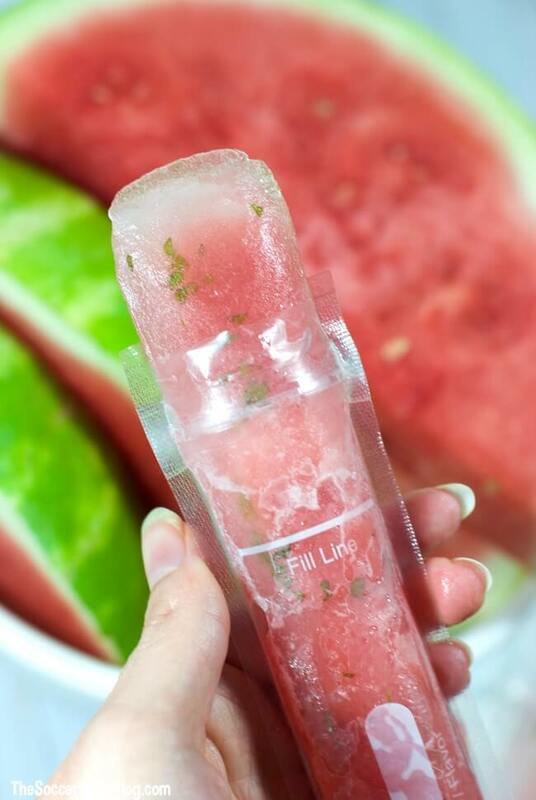 A refreshing "grown up" summer treat, Watermelon Mojito Popsicles are perfect for pool parties and easy to make! Click for video tutorial. Cut a medium watermelon in half - you'll only need one half. Remove rind from watermelon. Cut about 1/4 of the watermelon off and then cut into chunks. Set aside. Juice the remaining 3/4 of the watermelon using a juicer. You can also use a blender and then strain the pulp. Lay flat and freeze for 2-3 hours, or until solid.